Customers love to browse through tables full of merchandise! 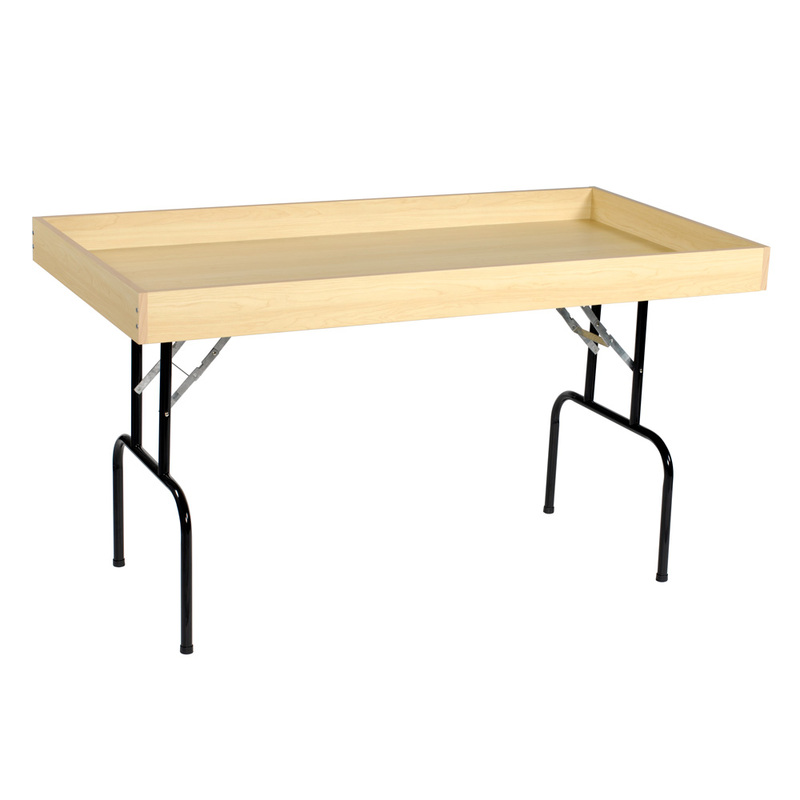 The maple dump display table has easy-folding legs for space-saving storage when not in use. The maple impulse display table features a melamine finished 4 in. recessed top and heavy-duty black steel legs. Mobilize the Impulse Table by adding casters, item 3284. Some assembly required.